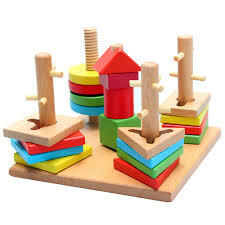 The Montessori method was invented around the 1900s by Maria Montessori. This method helps the little ones to create something and learn about the world by using their own senses. The child works independently and uses his own senses, developing much faster and more effectively. The products that are involved in this method are very diverse: wooden cubes, tables and chairs, plates and other items that will help the child use his own senses to place them in order. There are schools and kindergartens that adopt this method but it can be easily done at home. A business idea is to sell such toys. Every parent wants the little one to develop both physically and mentally very well. For this business, you need a store and a source to buy these toys. If you can prove to your parents that this method is very beneficial to their children, they will buy without hesitation the products they sell. 0 Response to " Selling Montessori toys"